Edgo Energy, Edgo’s exploration and production company provides support to local communities in Kenya. Working alongside local community leaders, Edgo Energy has supported a number of projects, including improving facilities at two local schools and building a bridge in Kokane to allow access to schools, roads and medical facilities during the rainy season. 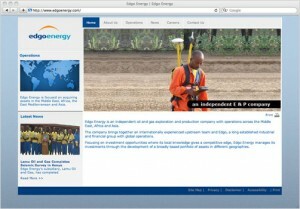 For more information visit: www.edgoenergy.com.